There are people who are starving to death today, even in a country that is as blessed as we are in America. As Christians we are to feed the poor and help those who are in need. 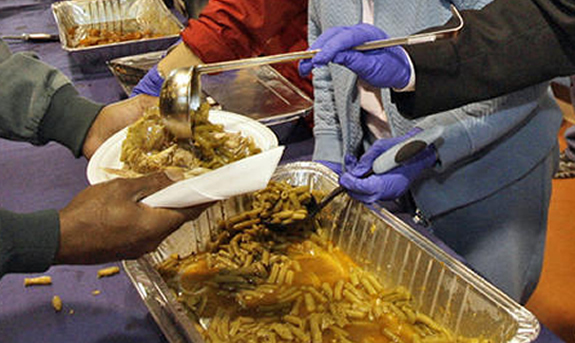 Feeding the needy is part of serving one another. As we serve others we are actually serving Christ. We minister to every kindred, tongue, people, and nation by sponsoring food distribution events throughout the year. To maximize our resources, we also partner with other food banks and feed the hungry programs, such as the Houston Food bank, not only providing food, but volunteering our time and service. In feeding the hungry, doors for evangelism are open unto us where we not only get to feed the physical man, but the spiritual man as well, with the gospel of Jesus Christ. All glory to God!